Calling all alumni who would like to perform one more time! We are having an alumni corps perform at the Show of Shows in Rockford. It’s the final week for registration for our 60th Anniversary Celebration…hard to believe that the deadline is almost here! The deadline is so we can order the uniform tops and have them custom made and delivered in time. The last 6 months have gone by so fast and before we know it, it will be July 9th! Deadline to sign-up is May 1, 2016. If you are already signed up and practicing, we can’t wait to see you!! If you’re not….do you really want to miss this opportunity? Do you really want to just sit in the stands and watch instead of being part of this once in a lifetime experience? If you’re not able to perform but are still coming to the show, don’t forget that alumni can get specially priced seats in the alumni section. 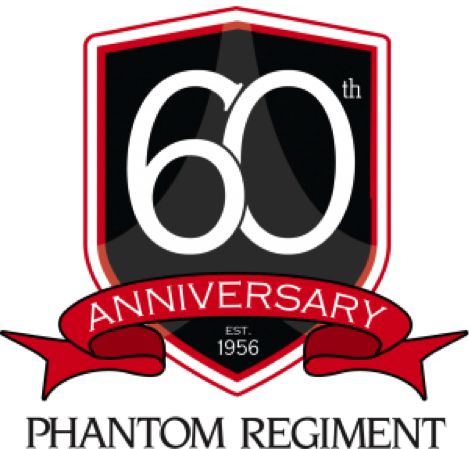 Join us as we celebrate 60 phantastic years with the Phantom Regiment!